O Most Holy Virgin, O my Mother, ask thy Son on my behalf for everything my soul and all mankind needs so that thy Reign be established on earth. My most earnest request is that thou mayest triumph in me and in all souls and implant thy Reign on earth. Amen. Let us pray: O Most Holy Virgin, O my Mother, look on my soul with mercy, obtain for me a spirit of prayer that leads me always to have recourse to thee. Obtain for me the graces that I implore of thee and, above all, inspire me to pray for the graces that thou most wantest to grant me. 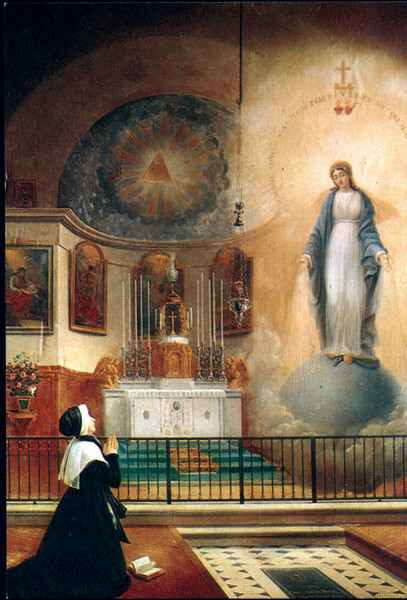 Let us pray: O Most Holy Virgin, O my Mother, amidst the great desolation in the world and the Church, obtain for me the graces I ask of thee and inspire me, above all, to request the graces that thou most wantest to grant me. “The Cross will be despised and hurled to the ground, blood will run in the streets, the Side of Our Lord will be opened again. 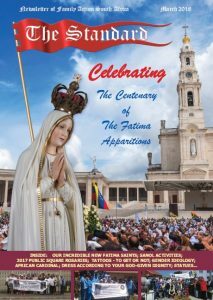 The archbishop will be stripped of his garments.” Here the Holy Virgin, her face filled with sadness, could no longer speak. “My child, the whole world will be plunged in sorrow,” she said to me. Let us pray: O Most Holy Virgin, O my Mother, obtain for me the grace to live in union with thee, with thy Divine Son and the Church at this crucial moment in history, as tragic as the Passion, when all humanity is about to choose sides for or against Christ! 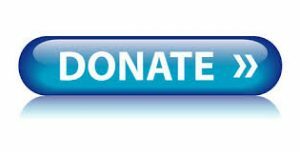 Obtain for me the graces I implore, especially the grace of requesting that which thou most wantest to grant me. Let us pray: O Most Holy Virgin, O my Mother, be my protection against the assaults of the infernal enemy. Obtain for me the graces I am asking of thee and, above all, inspire me to request the graces that thou most wantest to grant me. 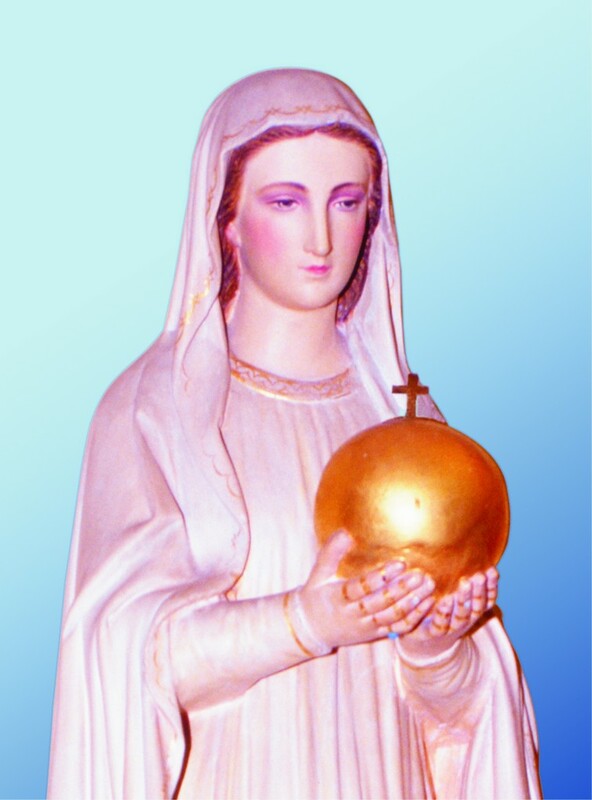 The Holy Virgin holds a globe in her hands representing the whole world, and each person in particular, and offers it to God, imploring His mercy. 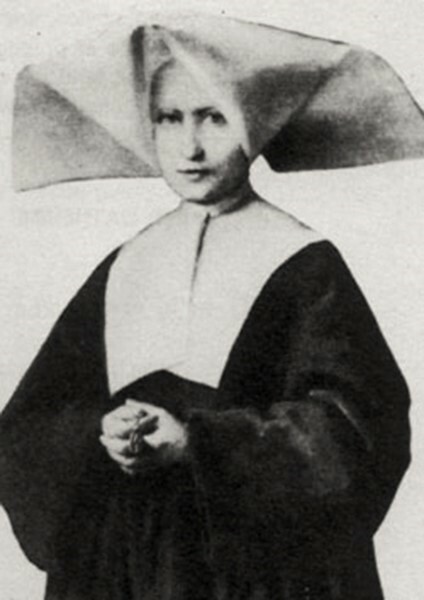 She wears rings on her fingers, bearing precious stones that shed rays, one more beautiful than the next, symbolizing the graces that the Holy Virgin pours out on those who ask for them. 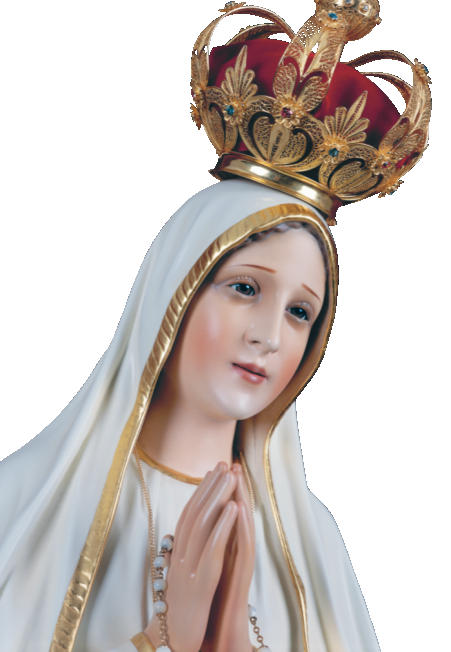 Let us pray: O Most Holy Virgin, O my Mother, obtain for me the graces I am asking of thee and inspire me, above all, to request the graces that thou most wantest to grant me. Let us pray: O Most Holy Virgin, O my Mother, obtain for me the graces that I ask of thee and inspire me, above all, to pray for the graces that thou most wantest to grant me. 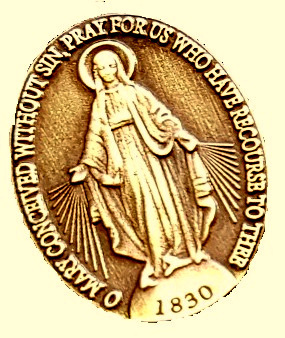 After contemplating the picture on the medal, Saint Catherine saw it turn to dis-play the back. There she saw an “M,” the monogram of Mary, surmounted by a small cross and, below it, the hearts of Jesus and Mary, the first surrounded with thorns and the latter pierced with a sword. Twelve stars surrounded the hearts and the monogram. 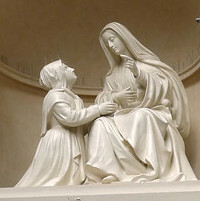 Let us pray: O Immaculate Heart of Mary, make my heart like unto thine. Obtain for me the graces I am asking of thee and, above all, inspire me to ask of thee the graces thou most wantest to grant me. 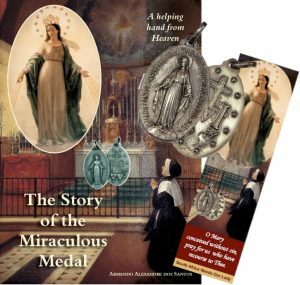 In 1830, Our Lady appeared to Saint Catherine Labouré and gave her the mission of having the Miraculous Medal struck and distributed throughout the world. Let us pray: O Most Holy Virgin, O my Mother, obtain for me the graces I am asking of thee and inspire me, above all, to pray for the graces that thou most wantest to grant me. 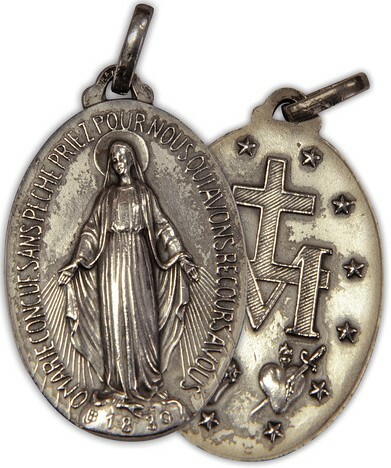 Wearing and disseminating the Miraculous Medal means placing oneself under the protection of the Most Holy Virgin. 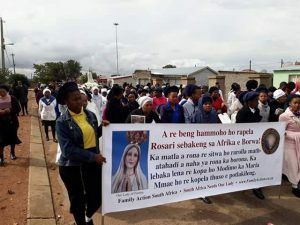 It means placing oneself under the sign of the Immaculate and taking a stand in face of the troubles and indifference affecting the modern world. “The whole world will be overwhelmed by misfortunes of all kinds… All will seem lost, but I shall be with you,” the Holy Virgin promised Saint Catherine, who repeated this prophecy till the end of her life. 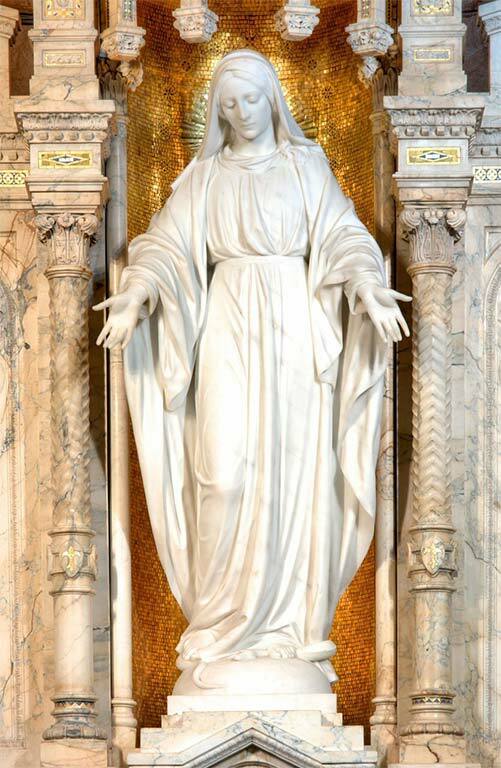 The rays coming from Our Lady’s hands symbolize the graces she obtains for everyone who prays to her with confidence.